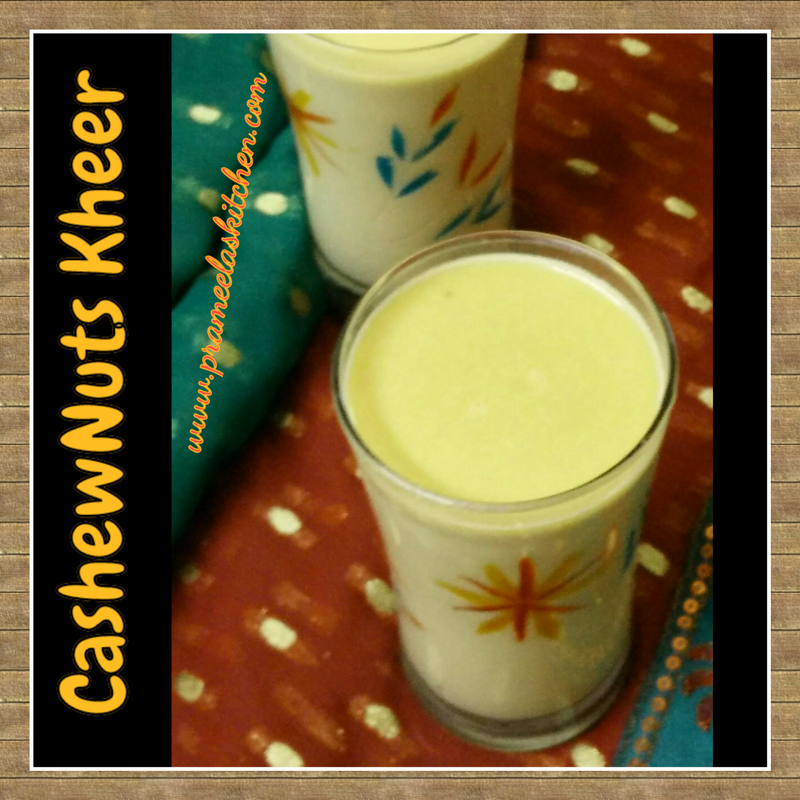 Cashew nut kheer is ultimate blend of sugar, cashew nuts and cow milk.This is a super quick recipe which can be prepared in just 10 minutes.Serve this delicious kheer cold/warm and enjoy. This is an ideal recipe if you have unexpected guests. Yesterday I was watching cookery show in TV and learnt this recipe. 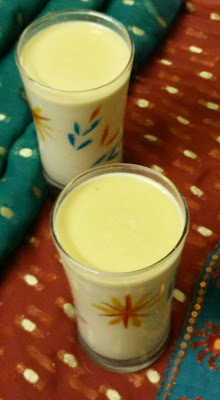 Gave a twist to this recipe by adding jaggery instead of sugar. (In the original recipe cardamom was not there) Adding cardamom enhances the flavor of the kheer. 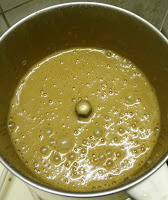 Boil the milk and keep it aside. 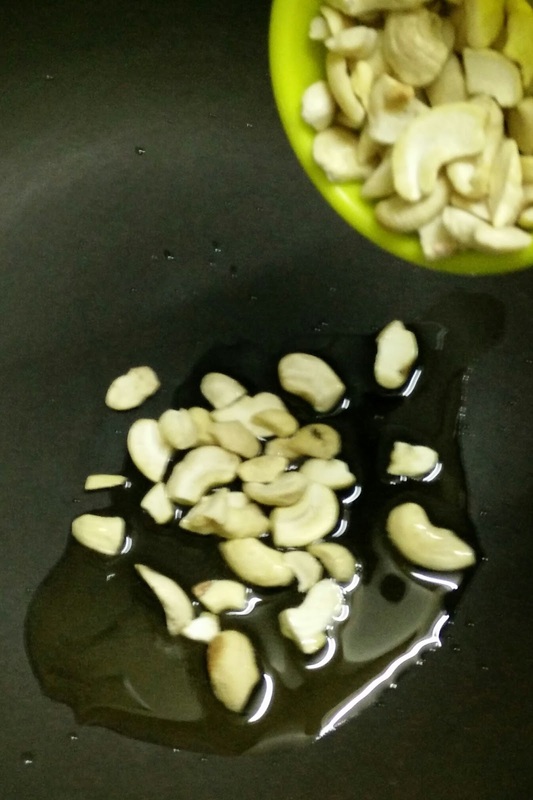 Heat two tsp of ghee in a pan.Add in cashew nuts and fry them till they turn golden brown. Keep it aside to cool down little bit. After it cools down, Drain the cashew nuts and transfer them into a mixer jar.Now to the same jar add in 1/8 cup of water, one cardamom and jaggery or sugar.Grind everything together into a smooth paste. 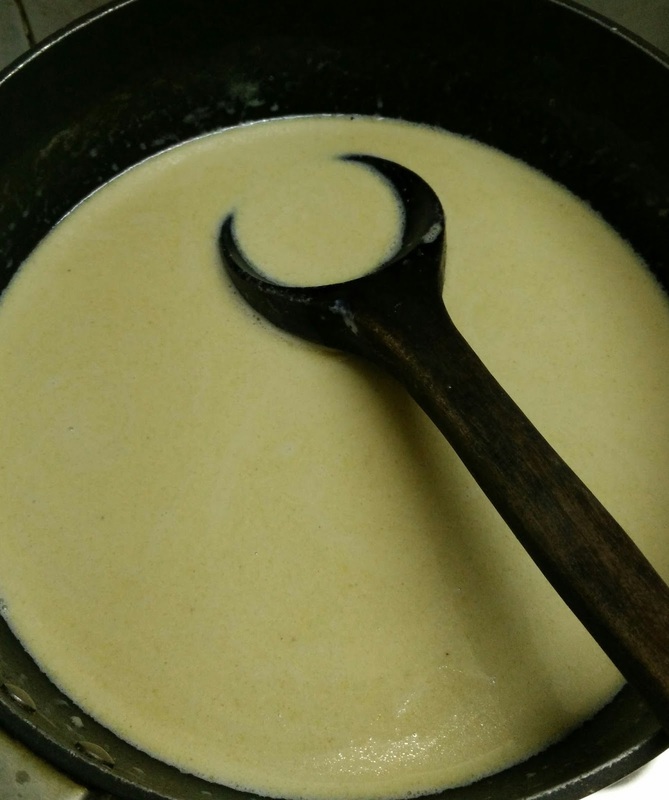 Keeping the flame in low , transfer the ground paste into same hot pan which contains little ghee.Give a quick stir and Switch off the flame .Now pour in hot milk into the same pan and stir it nicely so that everything combines well. 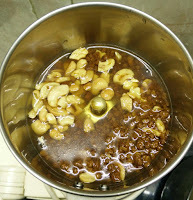 "Don't Boil this kheer". Serve this kheer warm or cold. 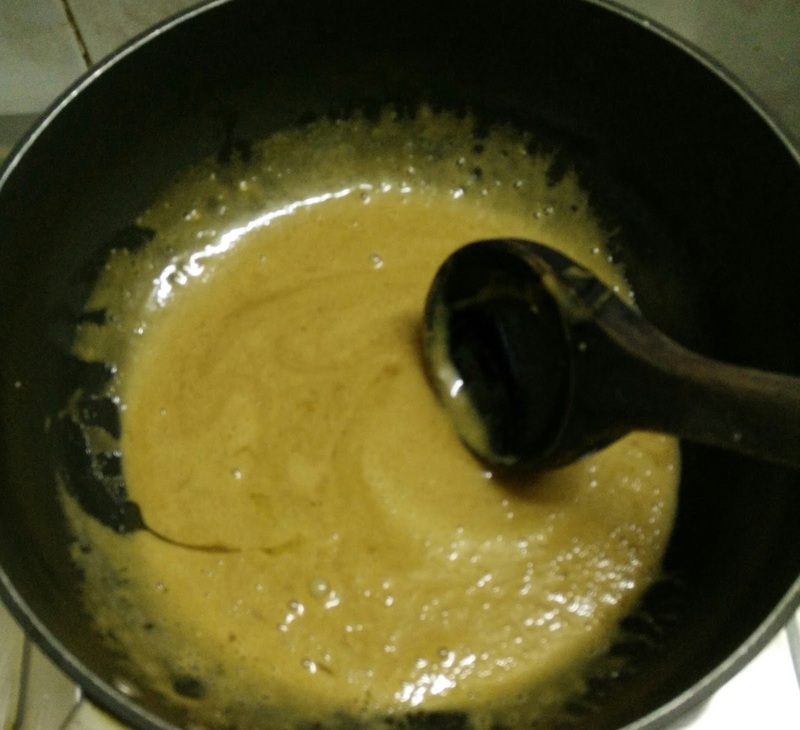 Notes/Alternatives: As per Ayurveda, mixing jaggery and cow milk is not recommended. 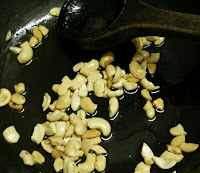 So if you are very particular about these things , please use sugar .